Blog > What Are MUTCD Signs & Why Are They Necessary? What would our roadways, highways and city streets look like if all the road traffic signs you saw with the same meaning all looked different from each other? That is, what if on one street, stop signs are the familiar red and octagon-shaped ones yet on other streets, they are yellow and square shaped? What if every city, state or county decided on its own the shape and design of its road safety signs individually? If this were the case, driving on highways and roadways would prove a very difficult undertaking indeed. With these confusing regulations guiding motorists’ driving behaviors, no one could ever be certain which law applied in which situation. Without standard rulings and uniformity, there would probably be more accidents on the roads with drivers mistaking a stop sign for a yield sign, for instance. Without standard ruling that a red octagon means stop and a yellow triangle means yield, confusion rather than law would rule the roadways. Though uniform standard road traffic signs might not be the kind of thing you think about when driving down the street, however, by obeying these road signs without much thought, they are responsible for improving everyone’s roadway safety and minimizing uncertainties. MUTCD signs, which stands for Manual on Uniform Traffic Control Devices, are the guidelines that state how all road safety signs must be displayed in the USA. 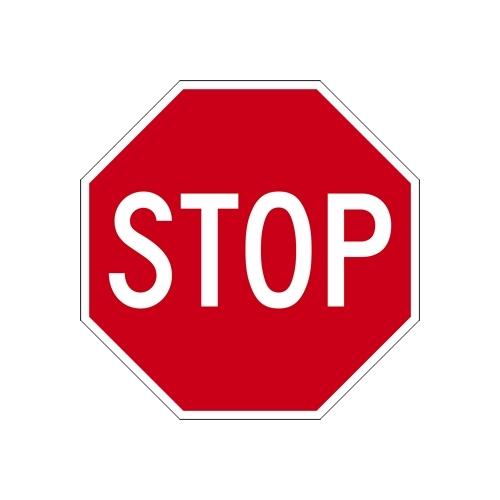 That is, a stop sign will always be red and octagon shaped whether you are in California, North Dakota or New York. Thanks to uniform standards, drivers have a very small chance of misreading common signage no matter which city, state or rural location they are driving in. So if you are responsible for ordering signs for your business, property, city or government municipality, it is best to purchase official MUTCD signs. By doing so, you can be sure that they comply with all federal regulations and specifications. 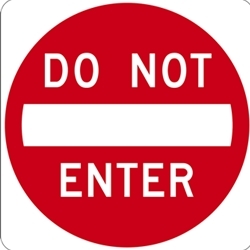 If you are responsible for purchasing public roadway or highway signage rather than just private property traffic signs, then you are legally required to post such MUTCD signage. Though they are not required for private properties, they are highly recommended because they are most familiar to drivers and are therefore most likely to be understood & minded, making for a safer neighborhood.